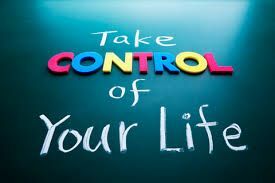 This is our assignment for the Aspire and Inspire sparkteam: March 30 is “I Am in Control Day.” Today is the day to get your life in control. It’s your day to get things in order and under control. Is there something in your life you need to take control of? Describe plans you will make to get any aspects of your life under more control. I need to get control of my morning and evening routines. I used to have a good morning routine, but I’ve gotten out of the habit. My morning routine consists of things like breakfast, feeding the cat, journaling, making my bed, etc. I would also like to include exercise in my morning routine. 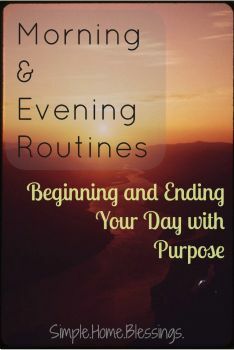 I never have had a good evening routine. I’ve read in several places that you’re supposed to turn off all electronics an hour before you go to bed so you’ll sleep better. I would like to do this, and then in that hour do things like plan the next day, meditate, read a book, etc. 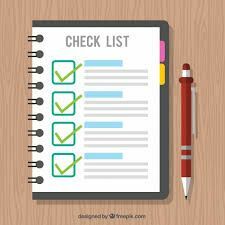 In order to get control of these routines, I am going to make a checklist of everything I want to include in each routine. Making a checklist for your routines sounds like a great way to get better control of your life. It's good to have routines. I think most people do better with routines. Good luck getting your routines set up! You have a great goal and a great plan. My sleep has been poor lately. I wonder if it would be better if I get off my iPad earlier. Good luck with making and following a checklist. I could benefit from doing something like that myself. They say you fall to sleep better with a nightly routine. I used to do the Miracle Morning routine and would like to get back to it. It was a great way to start the day. Having an evening routine makes sense also, I definitely need to turn off the electronics earlier. I got some markers made for windows and I write my evening routine on the mirror in the bathroom in big letters. It has really helped me. I'm the kind of personality that needs routines. Some people just function better when they can check off a list rather than live randomly. Hope you find a good routine that fits your lifestyle best. Good for you! And love those kitties. Great blog. I used to have good morning and evening routines, too. but...time to do it! good luck setting up your routine! I know I do much better having a written routine.